Centro is a modular display system which is ideal for evolving exhibition stand needs. Due to the modular nature of Centro, it can be configured to any stand shape and size you need. This also means it can be added to or reduced in size for different events. Centro stands can also be reconfigured depending on your needs and with the use of cleverly designed artwork this reconfiguration can happen without the need for new artwork panels. Centro display stands can be used for all sorts of exhibition needs – from small-scale stands to fit in a shell scheme space to large-scale, bespoke exhibition stands designed uniquely for your business. The core of the Centro system is aluminium poles, supports and rails. The poles and rails join together easily using RotrLink twist and lock technology. Rails are then attached to the poles using the tool provided. Assembly is quick and easy as many parts simply twist and lock together. This unique technology gives the system strength and means these stands can be self-built – reducing assembly time and costs. Once the frame is set up, the printed graphic panels are attached. These fix easily to the frame using magnetic tape. Panels are printed onto banner media which is flexible so can be rolled up and stored when not in use. We print all of our Centro graphic panels in-house to ensure the highest quality. We print artwork in full colour to photo quality standard. Panels are then laminated with a crystal matt laminate which protects the print and provides scratch, crease and tear resistance. We offer a wide range of Centro display kits including standard modular kits and bespoke exhibition kits. These are designed to fit smaller exhibition spaces with widths up to 3m. The Centro 2 kits, available in straight or curved styles have graphic panels across the whole width. 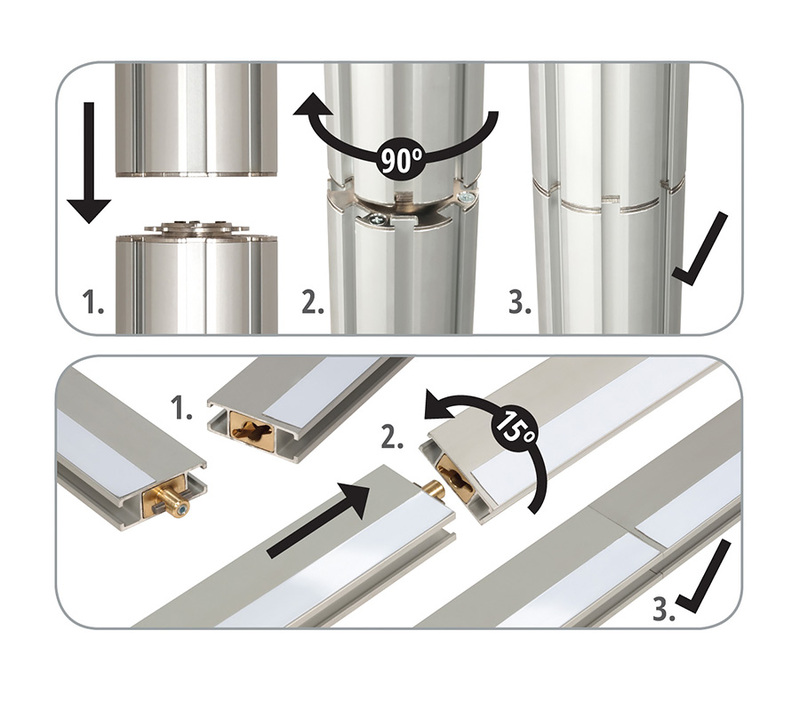 The Centro 3 kit has poles between graphic panels and can be used with or without spacer bars for a different look. Also available in this range are our multi-media display stands. With four size and design options available, these stands combine printed graphics with a monitor bracket to hold an LCD or LED screen. Ideal for exhibition stands which require an interactive element as you can play a product showreel or your website on the screen. These bespoke Centro kits are designed to be unique to your business or brand. 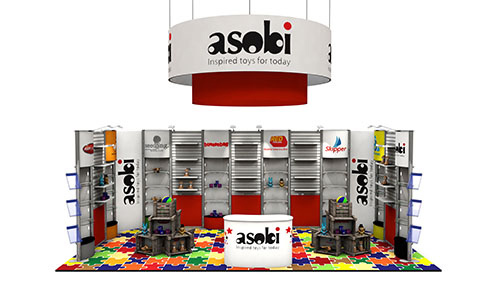 We offer stands to fit exhibition stand spaces from 2m x 2m right up to 5m x 6m but can design bespoke sized stands too. You can choose one of the kits and get all the equipment included with your artwork and branding printed on the stand. 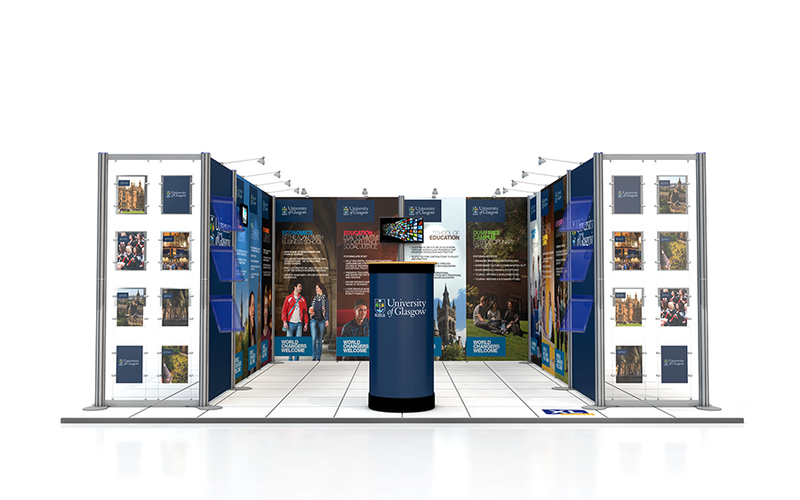 Alternatively, you can use these exhibition stand ideas as inspiration for what you could achieve for your business. At XL Displays we can create a customised Centro exhibition stand tailored to suits your exact needs – just call us on 01733 511030 to arrange a free consultation. To complement all of our Centro display stands we offer a wide range of accessories. These are compatible with the Centro poles so can fit anywhere on your display stands. For holding marketing material or products there are literature holders, promotional counters and podium stands. To add an interactive element to your stand you can add a monitor bracket for screens or an iPad holder. Illuminate your stand with some spotlights to ensure your branding really stands out. The Centro display pod is a unique option for product display and includes four shelves which can be open or closed. It can be used as a standalone display or can be incorporated into a Centro stand. With options for customised print, the display pod can be branded to match the rest of your stand. With a choice of stand styles and accessories, Centro offers endless possibilities to create a customised exhibition stand that is right for your brand and business. For more information about our Centro display stands or any of our exhibition stands please contact us or call 01733 511030.